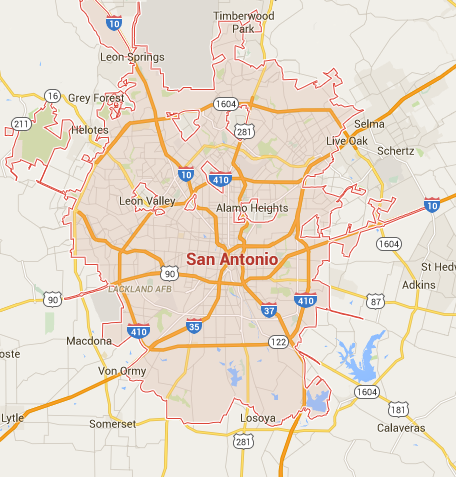 Concrete repair is an important aspect of the work that Sundek of San Antonio performs. Whether we repair a broken up threshold, cracked driveway or discolored patio, we restore the functionality and longevity of the concrete. Quite frequently, our customers ask us to add some coatings to turn a plain slab into fab! It is important to remember that even an indoor concrete floor can suffer damage, discoloration and cracking. Do not wait until the problem is too big to cover up with a throw rug. Of course, we also focus on exterior concrete surfaces. Whether you see the damage caused by the large tree roots in Olmos Park or notice the toll that age and weather has taken on a sidewalk in the Monte Vista Historic District, give us a call to patch things up. 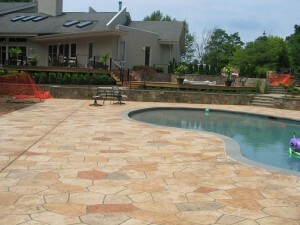 A flaking pool deck in Terrell Hills and a crack in a slab situated on the Inner West Side are easy to fix. Do not allow the chipped surface of your parking lot to detract from your business property’s attractiveness. The sooner you call us after noticing the problem with your concrete, the quicker we can get out to your location for the repair work. It is understood that small fixes are a lot less expensive than larger repairs. Possible fixes include concrete restoration with epoxy coating, stamped finish, refinishing which dramatically changes the look of driveways, walkways and sidewalks. These types of treatments not only fix the concrete slab but also greatly enhance the curb appeal of a property. When we are refinishing a slab, the final sealant locks in the color and gives a durable shine to the surface. Since many discolorations are due to lack of surface protection, even your high-risk areas will now feature a level of protection that keeps the concrete looking great for years to come. Sundek of San Antonio is the contractor with 30 years of experience in the business. We are an exclusive Sundek installer in San Antonio and have an A+ Better Business Bureau rating. Call us today at (210) 491-0280 to discuss your concrete repair needs with an expert technician.